Audioboom / Losing the War After Stalingrad Accelerated the Holocaust: "Black Earth: The Holocaust as History and Warning" 12/9/15Hr4: by Timothy Snyder. PART 3of3. Losing the War After Stalingrad Accelerated the Holocaust: "Black Earth: The Holocaust as History and Warning" 12/9/15Hr4: by Timothy Snyder. PART 3of3. 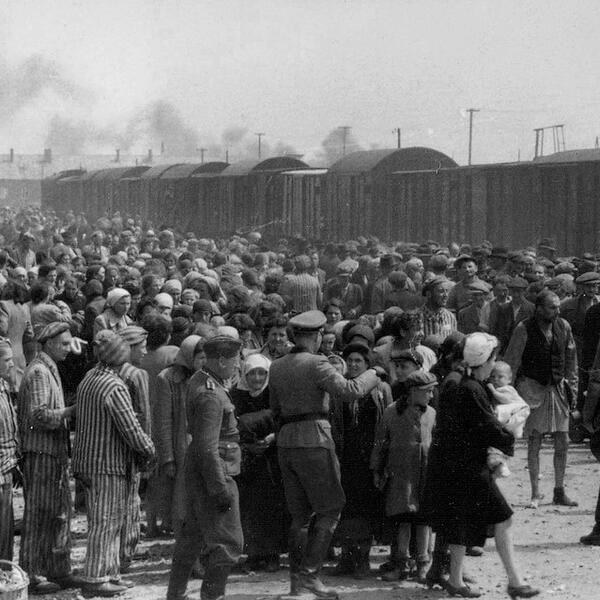 HOUR FOUR (Photo: "'Selection' of Hungarian Jews on the ramp at the death camp Auschwitz-II (Birkenau) in Poland during German occupation, May/June 1944. Jews were sent either to work or to the gas chamber. The photograph is part of the collection known as the Auschwitz Album.") Losing the War After Stalingrad Accelerated the Holocaust: "Black Earth: The Holocaust as History and Warning" 12/9/15Hr4: by Timothy Snyder. PART 3of3. Guns of California: Th12/10/15Hr1: Mary Kissel. Debra Saunders. Francis Rose. Dan Henninger.